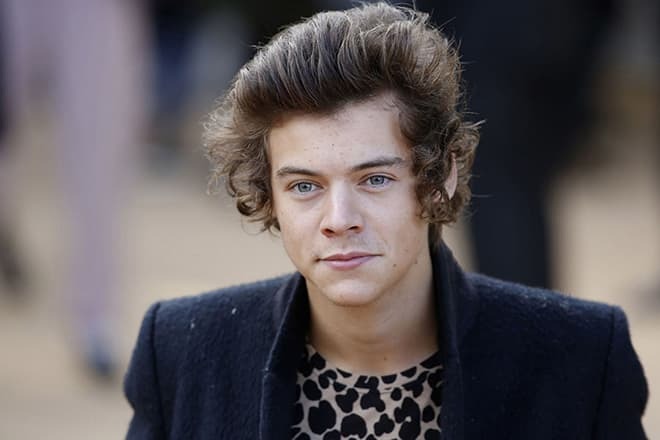 Harry Styles was born in the English town of Redditch, Worcestershire. He was the youngest of two children of Des Styles and Anne Cox. Harry's elder sister is Gemma. His parents divorced when the boy was seven years old. His mother brought up the children. They moved to a small village of Holmes Chapel, located in the outskirts of the county of Cheshire. Harry worried that he was growing up without a father. So he was delighted when the mother decided to remarry. His stepfather Robin managed to win the respect of the children, and he was an example of a good man for Harry. 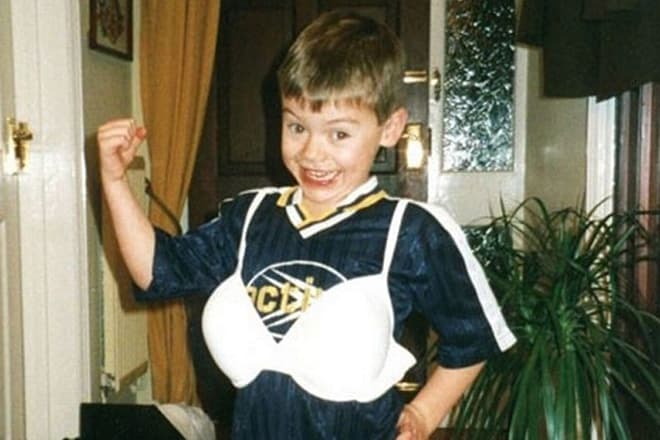 Harry Styles became interested in music when he was very young. He loved Elvis Presley’s songs and even learned "The Girl of My Best Friend" by heart, as a preschool child. In Holmes Chapel Comprehensive School the future singer was more interested in creating his own band than in mandatory classes. Garry called his first music band White Eskimo and became its lead singer. Styles' classmates and friends - guitarist Haydn Morris, bass guitarist Nick Clough and drummer Will Sweeney also joined the band. The band performed at all school concerts, in many local clubs and even won the local Battle of the Bands Competition. After graduating from high school, Harry did not continue to study but focused on rehearsals and development of vocal skills. He also worked part-time at the bakery. In 2010, Harry Styles auditioned for the most famous television music competition X-Factor. He sang two singles: Stevie Wonder’s "Is not She Beautiful" and Oasis band’s "Stop Crying Your Heart Out." It was the seventh series of the TV show, and the requirements for the participants have already become strict. Harry failed to progress to the solo artist category at "judges' houses." But one of the jury members, Nicole Scherzinger, suggested that Harry join four other vocalists - Liam Payne, Louis Tomlinson, Naill Horan and Zayn Malik. Thus, they organized the band, and Harry suggested the name One Direction. The band finished in third place at the competition. The success on the famous show helped the guys sign a contract with the well-known company Syco Records, which belongs to Simon Cowell, their mentor on the X-factor project. A year later, One Direction released the first studio album Up All Night and immediately become famous. The song "What Makes You Beautiful" topped the majority of the world charts and the album debuted at number one on the famous Billboard 200 Chart. Two more songs - "Gotta Be You" and "One Thing" were in the top ten of the UK charts. Increased popularity allowed the team to sign a contract with the American label Columbia Records. The second album Take Me Home was recorded in Sweden and released at the end of 2012. The song "Live While We're Young" peaked inside the top ten of the world charts, and even topped the charts in New Zealand and Ireland. The album topped the charts in thirty-five countries. The third album Midnight Memories was released in November 2013. After the release of the CD, the band completed a world tour called Where We Are Tour. The third album also topped the most famous Billboard 200 Chart. Thus, One Direction became the first band in the history of music to see the first four albums debut at number one. The latest album Four was released at the end of 2014 and bowed atop the Billboard 200 again. There was a world tour called On the Road Again Tour in support of the album. It lasted for almost one year (2015). But if all the band’s members participated in the first concerts of the tour, but since April only four guys remained in the group. Zayn Malik could not stand the constant pressure of shows and tours, and he left the band in March. Harry Styles enjoys performances, meetings with fans very much. He is looking forward to recording the new album. Since Harry Styles focuses on his musical career, he has no serious relationship. He has had several love affairs that did not last long, but they are interesting because his girlfriends were ones of the most beautiful and famous stars. During the participation in The X-factor, Harry had a relationship with TV presenter Caroline Flack, who is fourteen years older than him. The young people broke up but remained good friends. For a few months, Harry Styles had a relationship with country singer Taylor Swift. By the way, before they began to date, Harry had sought the girl out for about one year. But the young people could not keep the relationship for long since both are very busy people. Then Harry was often seen with model Cara Delevingne, but they did not have a serious relationship. Besides love affairs, Harry has another hobby. The singer adores tattoos, which he has more than forty. The singer does sports, tries to eat healthy food, does not eat sweets. He takes part in charity events.